AV Equipment Rentals Albany NY, Audio Visual Equipment Renting Albany NY, Computer rentals in Albany, Laptop rentals in Albany, projector rentals in Albany, lighting rentals in Albany, sound system rentals in Albany, pa system rentals in Albany, camera rentals in Albany, video camera rentals in Albany, tv rentals in Albany, screen rentals in Albany, | Technical Video, Inc.
Technical Video Inc. transformed the main conference room at SI Group into a state-of-the-art presentation space for the company’s Global Assembly. 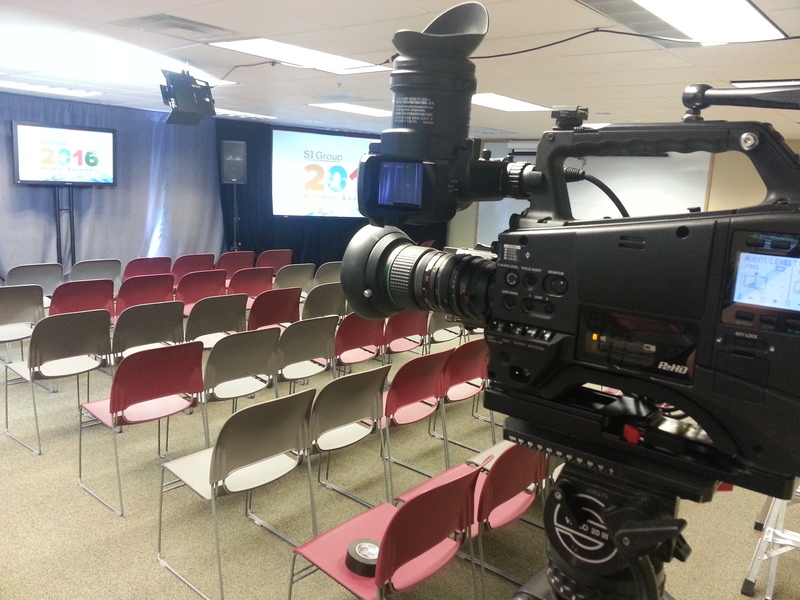 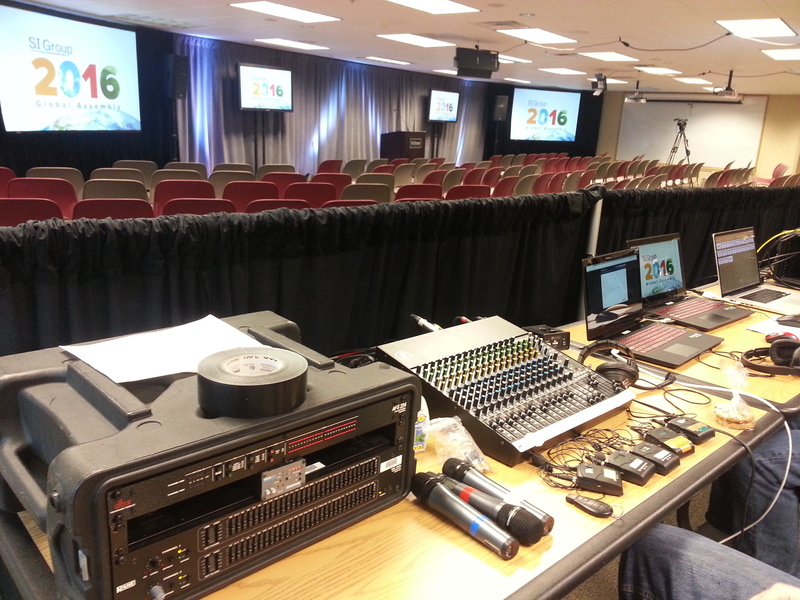 Services included: an audio mix of 6 active microphones; a video mix of powerpoint and 2 cameras on displays including two 70″ TVs and two 6 x 8′ projection screens. 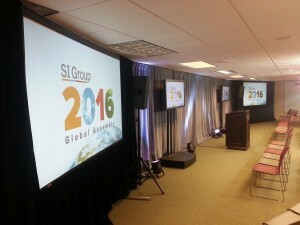 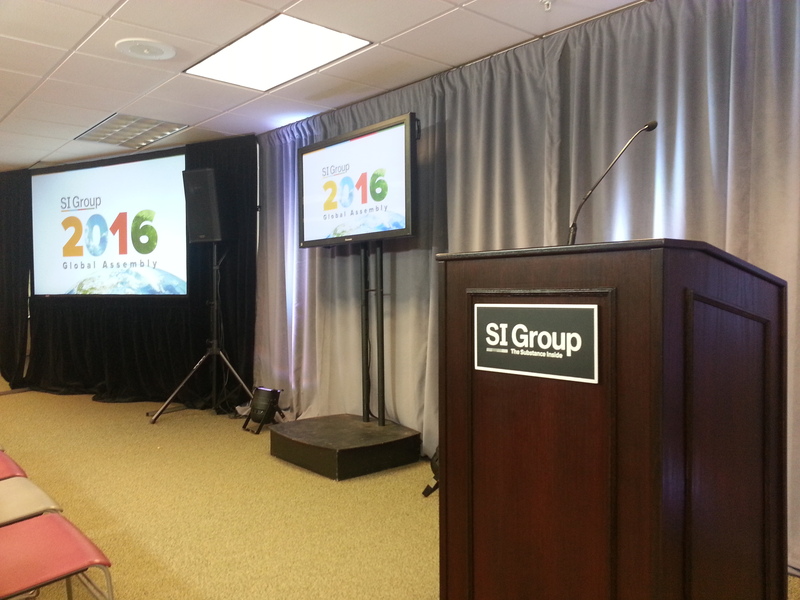 TVI also streamed the meeting live, giving SI Group the ability to reach it’s more than 2000+ employees across the globle!